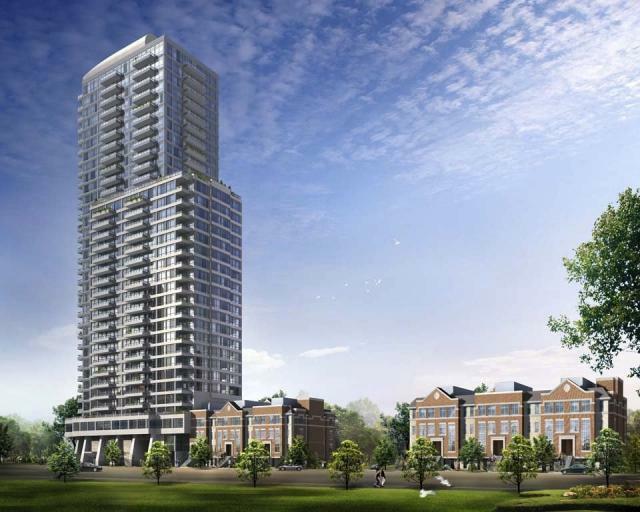 34 storey 500 Sherbourne Condos Toronto by The Times Group. Design by Northgrave Architects with landscaping by Schollen & Company. Toronto condo.